Is your deodorant natural? Did you know that natural deodorants can banish body odour and bacteria without the inclusion of any hidden nasties! Read on to discover our best natural deodorants for 2016! Using natural deodorants is a topic I’ve covered a few times here on the Nourished Life blog and one that gets a lot of questions! Read my last posts here and here. 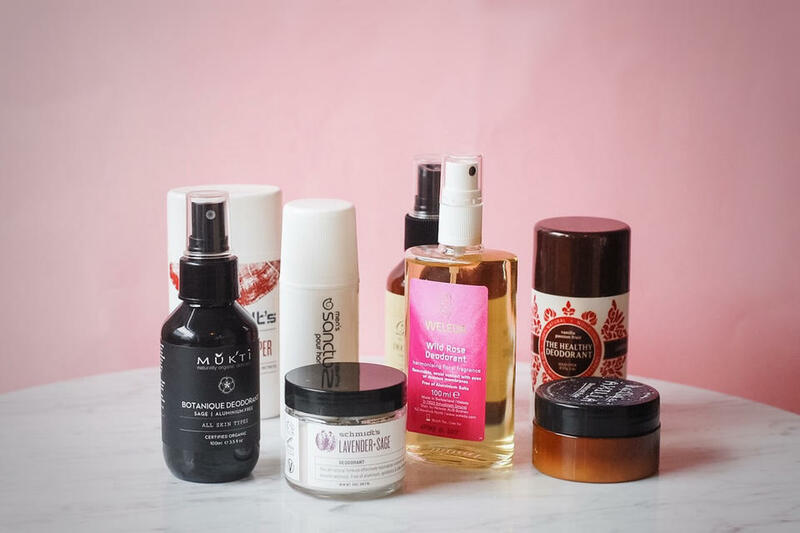 I am also always trying out and getting in new brands, so I felt it was time to create an updated guide to the best natural deodorants on the market. I’ve covered everything from roll on and spray to pastes and stick deodorants! The deodorants we have on Nourished Life are always natural and free from nasty additives! Like everything I have in my store, every single deodorant has been thoroughly researched & tested by us! 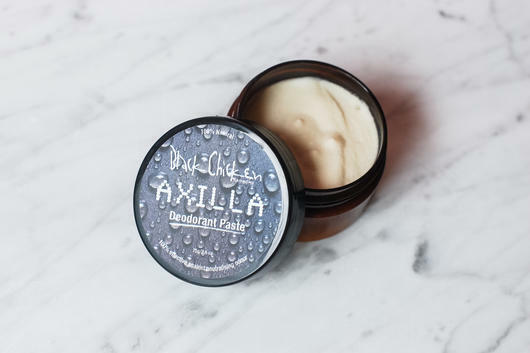 Our best-selling natural deodorant to date is the Black Chicken Remedies Axilla Deodorant Paste. It’s definitely one of my favourites because it’s chemical free and made with only natural and certified organic ingredients. It doesn’t clog pores or stop your sweat glands from detoxifying! This deodorant paste contains a long list of gentle ingredients including shea butter and arrowroot to absorb moisture and neutralise odour. It is also packed full of nourishing essential oils like peppermint, lime and lavender that leave you smelling as fresh as can be! Another fabulous paste deodorant comes from Schmidt’s in the form of their Bergamot + Lime Deodorant Jar. It works really well to eliminate odours and destroy any nasty bacteria! It’s also really easy to use. All you need to do is scoop some of the deodorant out of the jar with the spatula (that comes with the deodorant), warm it between your fingers and then apply to your underarms. These Schmidt’s paste deodorants come in four scents including Lavender + Sage, Cedarwood + Juniper, Bergamot + Lime and Fragrance Free! New on the market and already getting great feedback is the Woo Hoo Natural Deodorant Paste it is also natural, hard working and made with pure vanilla extract so smells delicious. Looking for a paste deodorant that comes in a stick ? Then you have to try Schmidt’s and their Lavender + Sage Deodorant Stick. This deodorant’s formula is also award winning, absorbing and doesn’t leave any sticky residue behind! Nobody wants that! 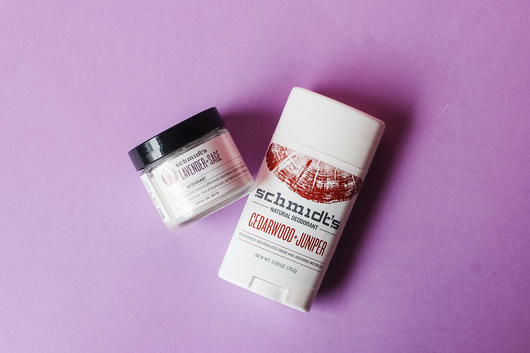 Schmidt’s also has a unisex Cedarwood + Juniper Deodorant Stick that can be used by both men and women. Just like the Lavender + Sage scent, this deodorant stick is excellent at effectively neutralising odours and absorbing underarm wetness. For all of you stick deodorant lovers out there, I also highly recommend you try the range from LaVanila! The scents are heavenly and are great for lazy days at home. One of my favourites is the LaVanila Deodorant Passionfruit that smells fresh and isn’t sticky or wet! It fights odour whilst soothing and calming your sensitive underarm skin. They also contain no bi-carb soda, except for the new Sports Luxe which is a super version of the originals! If you’re always in a rush then you just can’t go past a good spray deodorant. They are so easy to use and perfect for when you need a little touch up throughout the day! 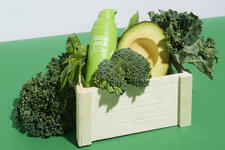 Weleda is a brand that I absolutely love! You can read a whole blog post about it right here. At the moment when I’m in a hurry I love to use the Weleda Wild Rose Deodorant because it’s easy to use and smells just like a perfume. This deodorant removes unpleasant body odour with the use of ingredients such as organic wild rose. It has a lovely floral scent that leaves you smelling fresh and clean. It is also a really gentle formula that won’t irritate sensitive underarm skin. If you’re an active person then I suggest you try out the Mukti Organic Deodorant because it comes highly recommended by some of the best athletes in the world! It is designed to not only eliminate body odour but also bacteria. It also helps with releasing toxins without absorbing any harmful chemicals. Perfect for spraying before and after a good gym session! Divine by Therese Kerr Deodorant is another hard working natural spray on deodorant that is formulated using gentle ingredients like lavender essential oils, olive leaf and bitter orange extracts. If you like beautiful packaging then you will love this deodorant! Very cute! Roll on deodorants are great to use if you prefer a classic, ‘roll and go’ style deodorant, rather than one with a waxy or solid consistency. Both Lavera and Fresca have a great range of natural roll on deodorants designed to last all day, including some for sensitive skin and beautifully scented options like the Fresca Valley Rose with pure Bulgarian Rose Oil. Another amazing roll on deodorant is the Harmoni’s Kiss Organic Deodorant. This one is Australian made, strong working and suitable for sensitive skin of all ages! It’s aluminium free and features the powerful antiseptic qualities of Witch Hazel and Citrus. If you love anything and everything vanilla scented then I suggest trying out the Vanessa Megan Vanilla Deodorant! Not only does it smell amazing but it also antibacterial and made with certified organic ingredients like green tea, vanilla and grapefruit. Yum! If you have extra sensitive skin that doesn’t react well to many deodorants then you can’t go past the Biologika Fragrance Free Deodorant! It’s completely fragrance free and works gently to neutralise your armpits of unwanted odours. Know a man looking for a new natural deodorant? The Sanctum Organic Men’s Deodorant is one I’m sure he’ll love. This roll on doesn’t have an overpowering scent but works to limit dour in the underarms and that sticky feeling that comes from exercise and heat.